Our 2013 Lia Viognier is a delicious two-vineyard blend that showcases the benefits of blending complementary vineyard sites. 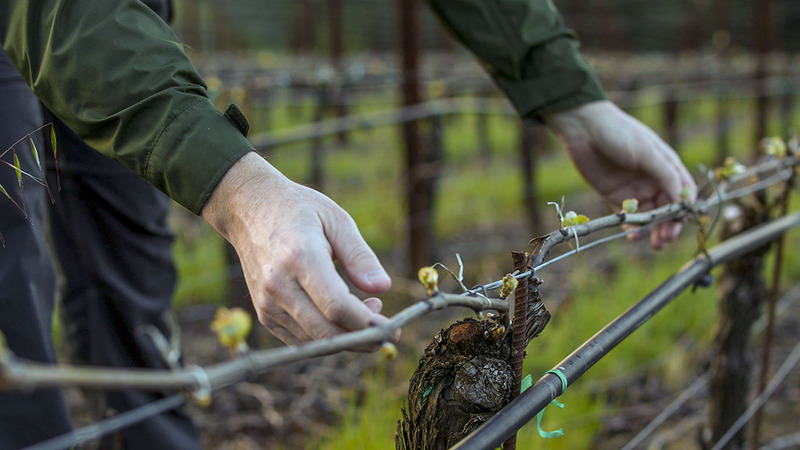 The Hoppe-Kelly Vineyard in the warmer northeast part of the RRV, planted on rocky-gravelly soils brings a deep core of ripe dense fruit and extravagant body. The cooler DuMOL GVR Estate Vineyard, out towards the coast on shallow sandy soils, balances this richness with leaner aromatic notes, saline, mineral complexity and vibrant lively acidity. The combination is brilliant. This is as serious a Viognier as you will find anywhere, not a casual summer-sipper, and deserves to be served as you would a high-end Chardonnay – not too cold and after a short decant if you wish. The crop yields are very low in these vineyards which is why the wine has texture and fruit extract to burn. We harvest the vineyards on consecutive days and ferment them together as a final blend. Hoppe-Kelly is harvested fully ripe whereas DuMOL GVR Estate is picked quite early, at moderate ripeness to bring that brilliant clarity that sets the wine apart. Don’t miss this wonderful, limited-release bottling. Wonderfully aromatic wine: flint and minerals give way to ripe nectarine, white peach and fresh pineapple. Fresh lemon zest, elderflower and nutmeg add clarity. Ripe pithy palate with lovely balance between rich deep fruit and zesty, citrusy elements. Initially fine and delicate, as the wine warms and aerates its natural viscosity emerges. Mango, nectarine and honeysuckle blend with lanolin and briny salinity. Multiple layers of flavor and texture, then poised apply acidity picks up and extends the finish. Really a brilliant combination. Serve no cooler than 55F and drink by 2018.